This was the goal race of the year for me and I had been working hard on my hill climbing since November. Things had been going well for the most part although the month or so prior to the race felt a little weak in terms of training due to vacations and some low energy weeks. I just hoped that I had banked enough fitness to get the job done on race day. 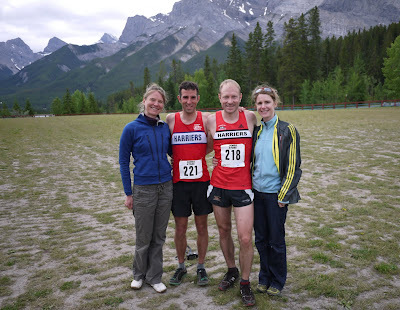 I drove to Canmore, Alberta, two nights prior with Andrew Pape-Salmon who was also racing. We spent the first night in Banff where Sonja and Andrew's wife, Sara, met us after flying to Calgary. 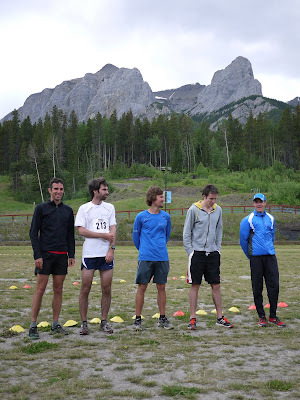 On Friday, we travelled to Canmore and previewed the course. The men's event was 5 loops of a moderately hilly course (plus a short one time handle to the start/finish). I was pleasantly surprised with the course, expecting mostly double track cross country ski trails. Instead, most of the course was mildly technical single track. There was a nice steep kicker hill at the high point of the loop, but most of the rest of the climbing was fairly moderate and the decent was also gradual - nothing too brutal at all. The altitude was a factor though, while not high(1500m+), breathing was slightly more laboured than normal when running. It was the competition that would really be the challenge. I knew only two of the runners personally. 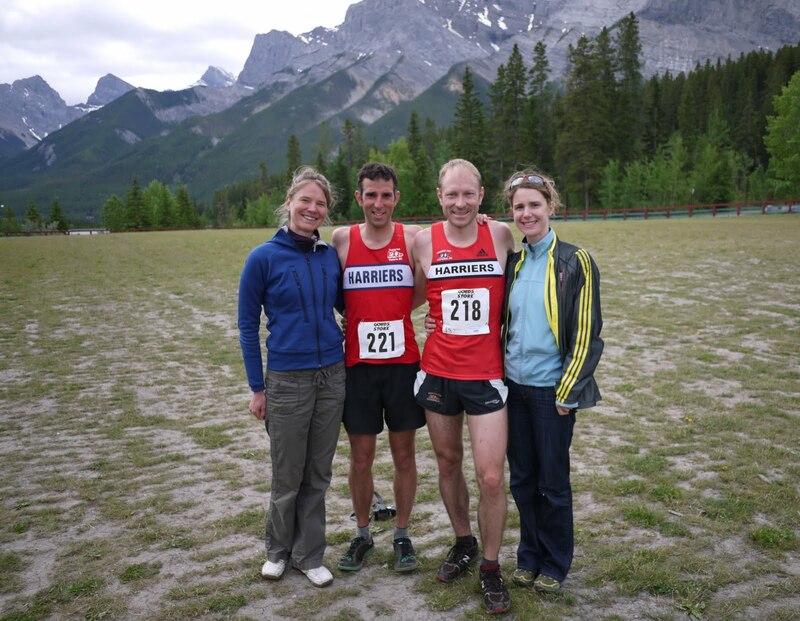 Kris Swanson is a very talented runner who placed 30th last year at the Mountain Running World's, the best ever Canadian placing. I've trained with Kris a couple of times where he has consistently humbled me. 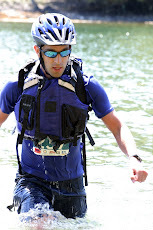 Shaun Stephens-Whale is a strong young runner who often runs trail events in Vancouver and on Vancouver Island. I have raced against him several times in and have only ever seen his back. I also researched several of the other runners, and found that there was plenty of depth to be found with a number of runners with 10k PB's in the 31-33min range. Placing in the top 5 was not a given at all and prior to the race I was having serious doubt about my ability to get the job done (5th place or better was required to guarantee a spot on the team - a 6th male is picked, but is at the discretion of the Canadian Mountain Running Committee). 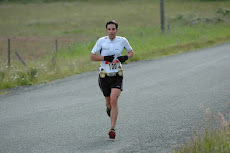 Luckily, conditions were perfect for racing with cool temps and no sun. I opted to race with my road flats knowing that the course wasn't too technical and only had one little muddy spot. I almost chose to use my trail flats, which are a similar weight, but don't provide as much cushioning for the downhills as the road flats. 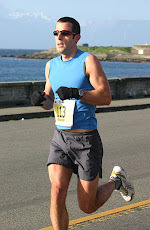 Predictably, the race started at brisk pace with James Gosselin leading out hard, trailed by Kris and Michael Simpson. I somewhat surprisingly found myself in 4th place...now just to keep it. The first loop and second loop were both fairly fast and I managed to keep my 4th place and was staying close to Michael. On the 3rd lap, however, the climbs started to get tough. While the legs were fatiguing somewhat, it was mostly the my bodies inability to get in enough oxygen that was the limiting factor. My breathing was quite laboured - likely this issue was a consequence of the altitude. 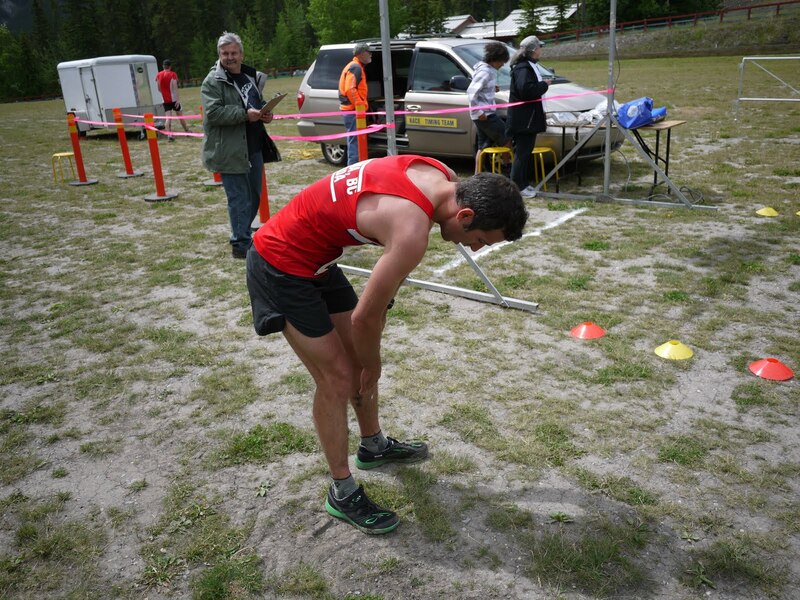 The course design with gradual downhills meant that there was no place to really recover - you had to push all the way. I also found that I'm not a big fan of the 5 loop format and it is just mentally grueling - give me the same difficulty in a single loop any day (or fewer loops anyway). Duking it out with Adrian Lambert. Photo Credit: Sara Pape Salmon. Part way up the 3rd climb, Mark Vollmer passed me and soon after so did Adrian Lambert. On the same climb, however, all 3 of us managed to pull ahead of Michael who was struggling to maintain his initial quick pace on the climbs. I don't normally get beaten on climbs, but these were all strong mountain runners so strong climbing is to be expected. I was able to claw back time against Adrain on the way down and we were back and fourth like that for the remainder of the race (him beating me on the way up, and me catching and sometimes passing on the way down). 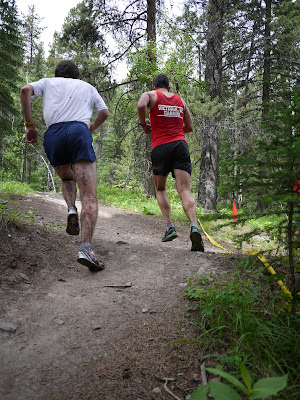 On the final way down, I did the same and thought I would be able nip him before hitting the line, but on the few hundred of meters of double track to the finish, Adrain poured it on and I couldn't gain any time. I was too spent for a full kick to the line either, but knowing I was in 5th place allowed me to luxury to not tying to totally kill myself. 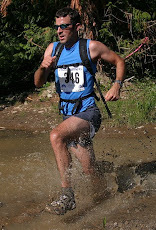 I finished with a 59:38 clocking on the 14.5 km course (with 600m of elevation gain). James and Kris completely dominated the field finishing about 3min faster than the next group. Positions 3-6 were all less than a minute apart. Andrew finished a solid 10th overall and was the first master. Sonja and Sara also raced in the woman's 9.2k event (3 loops). They both ran well with Sonja placing 3rd woman in her age group and Sara coming in 5th. Congratulations to the 3 woman who also qualified for the team: Danelle Kabush, Micah Medinski, and Magi Scallion. Andrew's triumphant finish! Photo Credit: Sara Pape Salmon. Need....air! Photo Credit: Sara Pape Salmon. It wasn't my best race ever, but it was enough to get the job done and I raced about as smart as I could have given how I felt so am quite satisfied with the result. 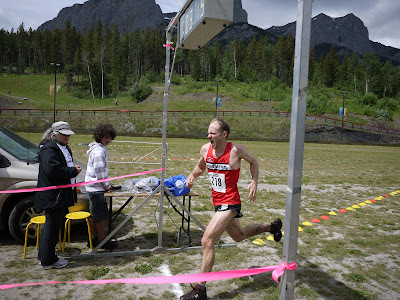 I'm excited to be able to represent Canada at the World Mountain Running Championships in Tirana, Albanina in September. It will by far be be the highest level event I have ever had the fortune to participate in. A big thanks to Praire-Inn Harriers for some financial aid to get to this event.